Custom brackets reduce the amount of drilling and time required to install your fifth-wheel trailer hitch. Hardware included. Base rails sold separately. 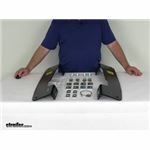 Call 800-298-8924 to order Reese accessories and parts part number RP50081 or order online at etrailer.com. Free expert support on all Reese products. Guaranteed Lowest Price and Fastest Shipping for Reese Quick-Install Custom Bracket Kit for 5th Wheel Trailer Hitches. Accessories and Parts reviews from real customers. Speaker 1: Today we're going to take a look at the Reese Quick Install Custom Bracket Kit for Fifth Wheel Trailer Hitches. Now, this is a custom fit part. It is designed to fit the 2004-2014 Ford F150 trucks, all bed sizes. And on a custom fit part I always like to recommend for you to go to our website, use our fit guide, put in your year and model vehicle, and it'll show you if this part will work for your application.Now, these are custom installation brackets that will mount beneath your truck bed. They provide the attachment points right here, for fifth wheel rails. These are vehicle-specific brackets. They're designed to mount to existing holes in your vehicle's frame, so that will help minimize drilling and measuring, cut your installation time in half when compared with the universal bracket systems.Now, the base rails that attach to these, that'll sit in the truck bed, they allow the installation of the fifth wheel trailer hitch. We do sell those separately. It's part number RP58058. And just to show you, I happened to pull one of those. Here's one of the rails. They come as a set of two. But here's what the rails would look like that attach to these brackets. And then, these rails allow the fifth wheel to drop into your truck bed.Now, in this part, the kit will include the custom bracket shown here. All the mounting hardware, and even a nice set of detailed instructions that describe how to install everything. You'll notice the finish on these is a black powder coat finish. Helps resist corrosion.But that should do it for the review on the Reese Quick Install Custom Bracket Kit for Fifth Wheel Trailer Hitches. Order: RelevanceNewestRating - High to LowRating - Low to High Custom brackets reduce the amount of drilling and time required to install your fifth-wheel trailer hitch. Hardware included. Base rails sold separately. Everything is fine after a year. Great product. Still holding up great. Never regretted the purchase yet! Still love the product. Thank you for checking back. So far so good, Slow shipping was shipped 4 days after i was ordered caused us to miss a trip camping. not a problem. good quality, good fit. even looks good. Easy to follow instructions, install involved removing a factory heat shield, which wasnt easy, but was completed. Small hands made a hard to reach area easier to thread a nut onto a bolt, all other locations were easy to complete. No problems a year after install. Etrailer had been prompt, easy to contact by email prior to purchase, to verify product, and prompt shipping. Followed recommendation to additionally purchase all new bolt kit with these brackets. For your 2011 Ford F-150 XLT, the # RP50026 is not a fit for your 5-1/2 foot bed. It is a fit for the 6-1/2 foot or the 8 foot bed. For the 5-1/2 foot bed you will need the Reese Quick-Install Custom Installation Kit w/ Base Rails for 5th Wheel Trailer Hitches # RP50081-58 or # RP50081 for just the brackets. With this kit the rear edge of the rear rail will be 28-11/16 inches from the rear edge of the truck bed. 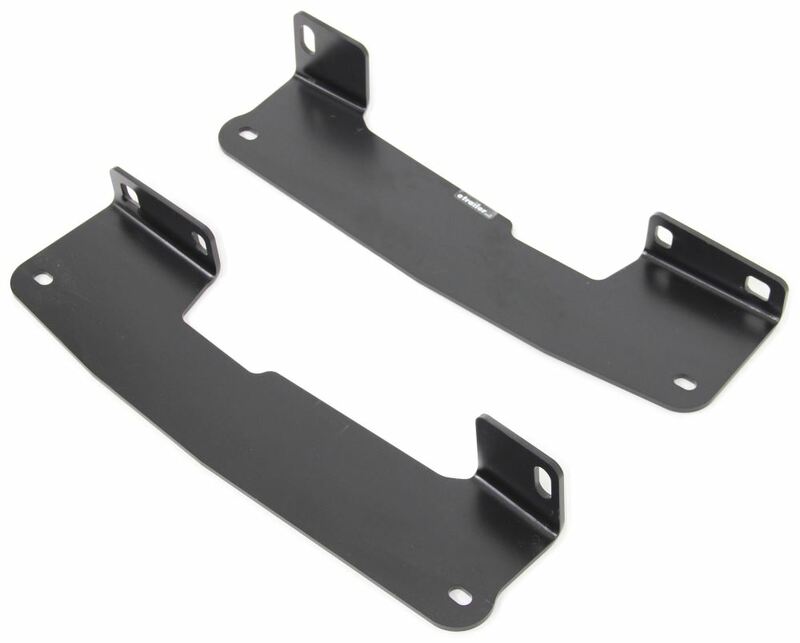 For your 2011 Ford F-150 with 5-1/2 foot bed you can use Reese brackets # RP50081 if you have Reese rails. You will also need hardware kit # RP58504 for 2 reasons. First, the brackets only don't come with all the necessary hardware. Second, the hardware is meant to be torqued down only once and should not be reused. For Demco rails you would need # DM8552004 which does come with the necessary hardware. 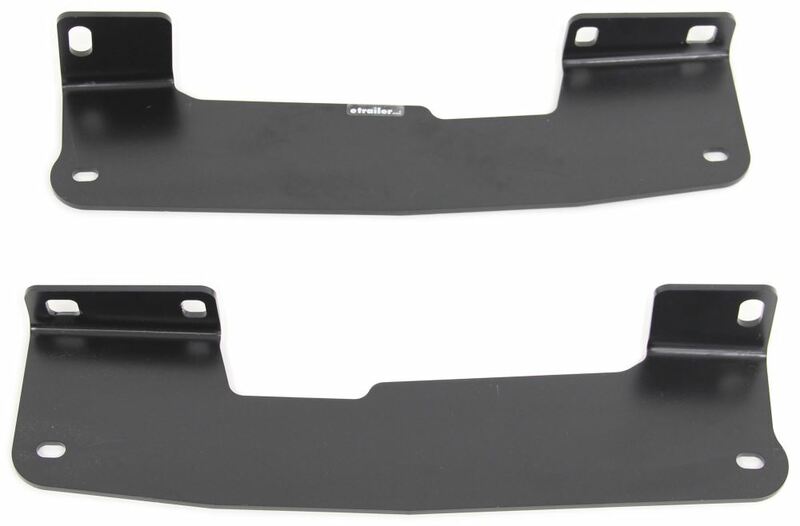 The custom brackets for your 2103 Ford F-150 with the 5-1/2 foot bed are # RP50081. They're confirmed to fit your truck and will work with industry standard base rails. The choice to go with the custom kit is a good one because it'll reduce the amount of drilling and time for install. I've linked an install video for you. For just the fifth wheel rail brackets that are a confirmed fit for your 2011 Ford F-150 5-1/2 foot bed you'd want the part # RP50081 which is a confirmed fit and will work well. For new hardware to attach the brackets to the rails you have already all you'd need is the # 58164. For a 5th wheel rail under-bed bracket installation kit that does not include the base rails that you already have you can use kit # RP50081. For a hardware kit to mount the base rails to the brackets you can use kit # RP58430. For an in-bed wiring harness use kit # PK11893-11932 which offers plug-in installation at the bumper-mounted 7-way.